The Nortel Expansion Cabinet DS256 Cable (NTAB3304), is required for connection of an Expansion Cabinet to your BCM. 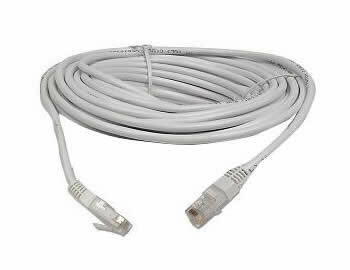 The DS256 is a 16 ft. V.24 Data Transfer Cable; Cable Type - V.24; Length - 16.4 ft.; Package Quantity - 1; Right Connector Type - D-Sub; Right Gender - Female. The Nortel BCM 450 can be expanded in numerous ways with Nortel Media Bay Modules and Expansion Cabinets. If you would like to purchase or discuss the Nortel BCM Expansion Cabinet hardware for Nortel BMC 450 in greater detail then please contact us TOLL FREE at 1-855-929-9199 as we will only be too happy to help.